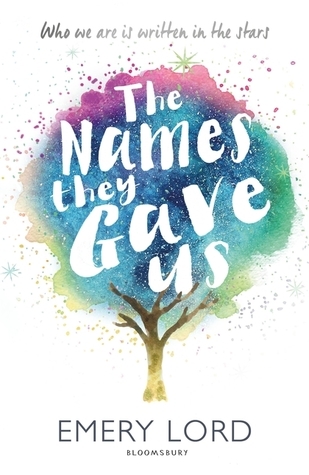 I had high hopes for reading The Names They Gave Us by Emery Lord. Especially after reading her previous book, When We Collided last year and loving it. Usually high expectations usually leave me a little wary for starting a book ... but I jumped straight in with this one. And I'm pretty sure it'll end up being one of my favourite books of the year. I just felt like there were so many elements to this story that I loved so much. I loved the main character, Lucy. I loved her relationship with her parents (but especially her mother). I loved the aspect of faith that is brought up in the book and also the stereotypes that are smashed. I loved that this book is primarily set at summer camp (summer camp!) and the levels of diversity that appear (race, sexuality, gender, mental illness, differing economic backgrounds and experiences). I loved the friendships, the romantic elements of it. I just had tears right up to the end and I could have read Emery Lord's words and Lucy's story for far longer if I could. Lucy herself is pretty great. There's so much growth going on with her in this book. She starts off being a little ...rigid in who she is. A schedule, a plan. A perfect boyfriend, a summer planned at religious camp with her parents. But then Lucy's mother's cancer reappears and Lucy's life is completely shaken up. Her faith is tested and her mom asks Lucy to be a counsellor at a camp for troubled teens this summer and Lucy cannot refuse her mom anything. Plus, her boyfriend 'pauses' their relationship for the summer. So begins this momentous summer. I love that Lucy is very much sheltered at the beginning of this book and her privilege has kept her so. I even love that she shows off some of her judgey ways like when confronted with a teen girl at this new camp who is pregnant and ...Lucy has all her pre-conceived notions handed back to her throughout the course of the story. I also loved the other counsellors and how much passion they put into caring for the campers, doing what's right by them, fighting for their corners. I was amazed by how emotional this story is. With the cancer, but also other family secrets. The agony of falling in love, finding that circle of friends where you belong and be accepted, the stories of the campers. I truly loved this book.